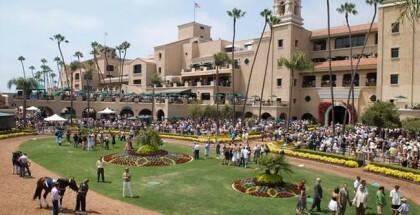 Handicapping Kentucky Oaks Day 2015 Picks & Plays: The most anticipated weekend in the racing world is finally here! Although often overshadowed by the Kentucky Derby on Saturday, the Kentucky Oaks and its undercard on Friday are bursting at the seams with quality fields. Here’s a handicapping look at the Oaks day stakes races so that you can not only enjoy the races but can also hopefully make some money! 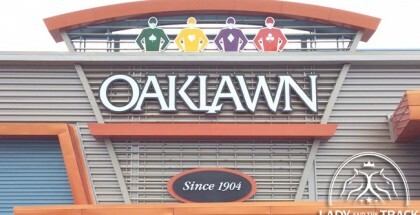 The main event at Churchill Downs on Friday, May 1 , 2015 is the Kentucky Oaks for three-year-old fillies. Sunset Glow has not raced since the Breeders’ Cup Juvenile Fillies Turf in which she was defeated by Lady Eli. Sunset Glow looked like the second best of the field that day, and the field she is facing now is not the best. I’m giving her only a slight edge because layoffs are always a concern. My Year Is a Day comes from France holding credentials as a winner of three races, including a listed stakes event over a mile in her last outing. This filly looked really nice in that race in pulling away from the rest of the field in the stretch. Sheer Drama is having a very good year and looks to be in better shape than the rest of the field. She absolutely demolished the field in the Royal Delta Stakes (GII) at Gulfstream Park on March 21, winning by 6½ lengths. Sheer Drama also has the ability to stalk the pace, a huge advantage. Gold Medal Dancer is another mare that has been running big lately since beating Untapable in the Azeri Stakes (GII). Then, in the Apple Blossom (GI), Untapable turned the tables to score the win, but Gold Medal Dancer ran very well regardless. Since the Apple Blossom, she has been working well in the mornings. I was most impressed with Sheer Drama’s performance in the Royal Delta, so I’ll be playing her to win. After a disappointing effort in the Donn Handicap, Protonico bounced back and won the Grade III Ben Ali Stakes gate-to-wire at Keeneland. In addition, Protonico has run one race at Churchill Downs and was a nice second to Hoppertunity in the Clark Handicap (GI). Because this horse has had experience at Churchill Downs, he has a huge advantage. Since his debut, Honor Code has been considered a good horse, but an injury sidelined him from the Derby Trail last year. Following a long recovery, he came back in November to win a 6½-furlong race and recently won again in the Gulfstream Park Handicap (GII) over one mile. Those wins, while solid victories in and of themselves, showed that Honor Code wants more ground, and this is his chance to show his potential. Ride On Curlin is winless at route distances, but he always runs well except for in his last race when he failed badly. In my opinion, he can bounce back and run a great race in this spot. 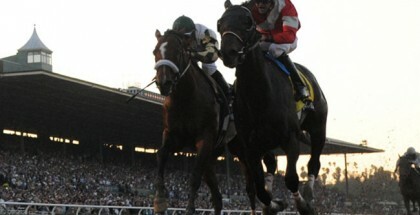 He also has experience at Churchill Downs with good performances, including a start in the 2014 Kentucky Derby. In this race I’ll be playing a trifecta box with 2, 7, and 4. Power Alert came from Australia where he had a modest campaign, but he became simply another horse in America. However, he has won two races in a row, including a listed stakes. Most recently, he failed as the favorite in the Shakertown Stakes (GIII) over 5½ furlongs at Keeneland, finishing in fourth place 4¼ lengths behind the winner, Something Extra. Power Alert returns to a five-furlong race here, a distance at which he won those two American races. Undrafted has good experience in sprint graded stakes races, including the Breeder’s Cup Turf Sprint in which he gave a great performance, being beaten by just half a length. In his last race at Keeneland, he finished in third, but that race was just a prep to this one, so he should now be ready to roll. Power Alert will offer good value, so I’m playing him to win, place, and show. The gray and Texas-bred Promise Me Silver runs everywhere and always wins. It is true that she will now be facing tougher competition, but this filly has the quality to fight against any field. Taylor S literally flew in her last race, winning in marvelous style. This filly has two wins at Churchill Downs and is working very well at this track. Surely she will be in the mix. Ekati’s Phaeton won the Davona Dale (GII) over a mile at Gulfstream with great heart, but she is a true sprint filly. After a flop in the Gulfstream Park Oaks (GII), she is back into her game in sprint races. In this race, I’m playing Promise Me Silver to win and place and an exacta box using 2, 12, and 3. 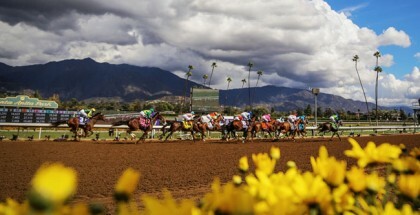 The main event, the Kentucky Oaks, is a very competitive and attractive race. My top pick Birdatthewire drew a tough post position, but she demonstrated in her last race that she loves route distances. Even with a bad trip, she was able to handily win the Gulfstream Park Oaks. Now, a patient Irad Ortiz simply cannot make the same mistakes. Stellar Wind has been smashing the California fields and looks like she also loves two turns. The lucky Victor Espinoza is in the saddle, a jockey who knows her very well, and she should be the favorite of this race. In looking for value, I must include Include Betty in my tickets. This is a filly who runs off the pace, and if there is a hot pace, she will be very dangerous at huge odds. In the Kentucky Oaks, I’m not selecting any frontrunners; in my opinion, the winner will be a stalker or one who runs off the pace. I’m playing Birdatthewire to win and a trifecta with 13/3, 12/3, and 12.